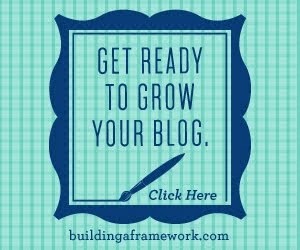 You will see an asterisk (*) next to any affiliate links in my posts. 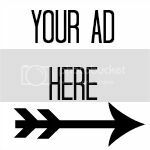 This means that I make a small percentage if you make a purchase using this link at no extra cost to you. 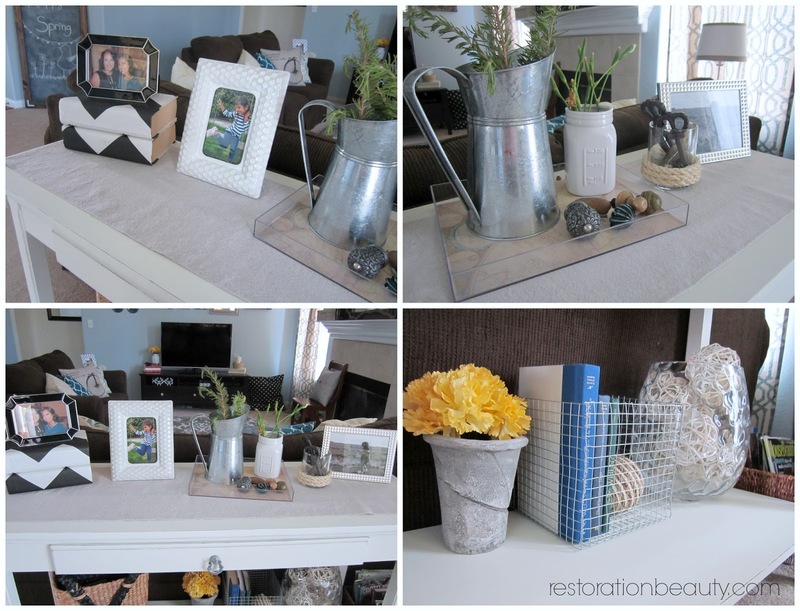 If you follow me on Instagram then you already know how this Sofa Table Makeover came about. My problem was that it blended in way too much with our couch and I needed to find a way to make it stand out.....and what easier way to achieve that than with my all time favorite DIY Chalk Paint! I asked on Instagram what color you all thought would rock this table, a light grey or a cream and the votes were sorta tied. 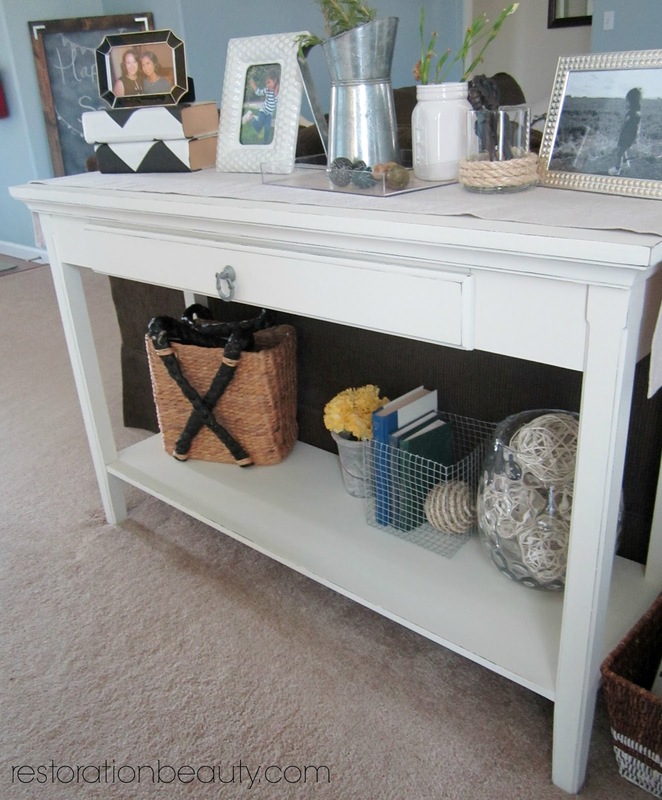 At first I really thought I was going to go with the light gray but when my second trimester energy kicked in and I got the sudden urge to get the table done that day, a cream color was all I had in the garage. Nothing was going to stop that urge so I decided to just go for it and I loved the way it turned out! 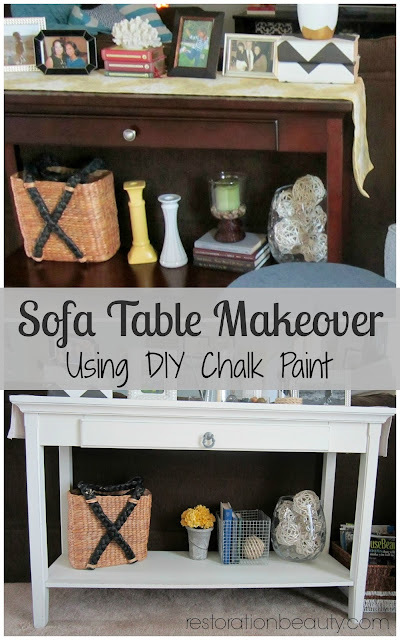 I knew this DIY chalk paint recipe wouldn't let me down. I had already used it for my End Tables Makeover and my daughter's Dresser Makeover and loved the ease of application and the fact that no priming was required. I simply mixed up my recipe and got to work. 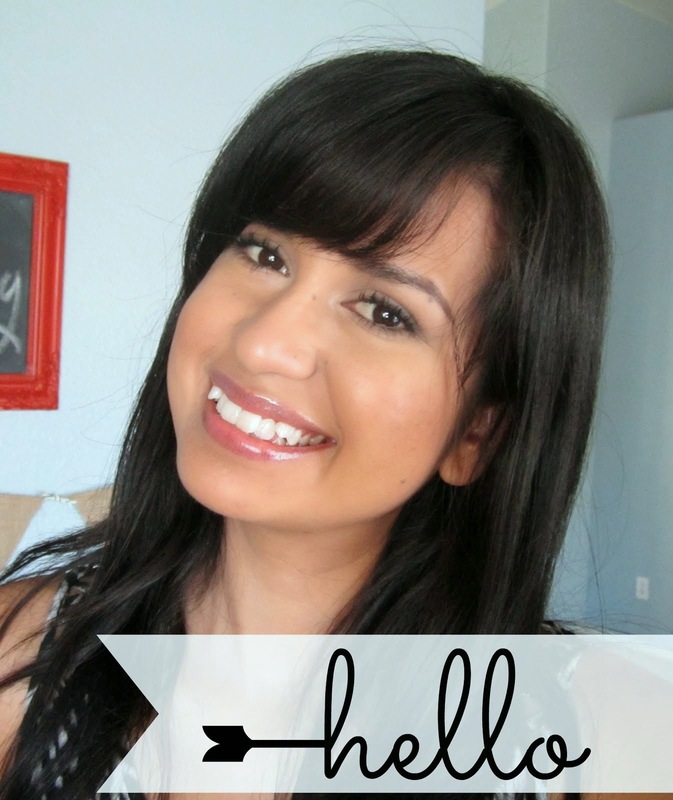 I mixed three parts Behr's Cream Delight with 1 part Behr's Ultra White and got my perfect cream color! 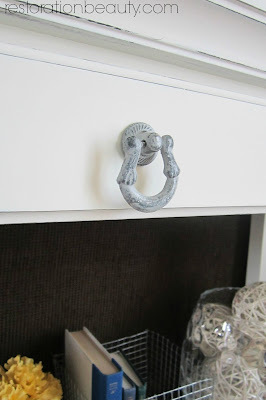 I applied 4 coats of the chalk paint and waited about 15 minutes between each coat. This stuff dries fast which is awesome for someone like me who loathes to wait in between coats! Once my table was completely dry after the final coat, I did some light distressing with a sanding sponge . 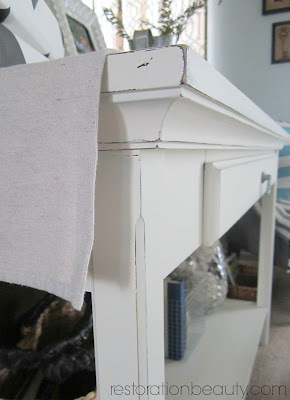 This was my first time distressing furniture so I didn't get too carried away. I also decided NOT to seal this piece since I wanted to keep the chalky finish. I figured this wouldn't be a problem since it doesn't get handled by anyone else but me when I clean it or redecorate it. I also changed the old knob for this gorgeous one I got from Hobby Lobby. Isn't it perfect for this table! I had to get my light grey in there somewhere! Best of all, my sofa table doesn't blend in with our brown couch anymore! Woot woot for that! Of course I just had to do some sofa table redecorating! Because how fun would it be to just put everything up in their same old spot? I'm SO happy this little project got crossed off my to do list before we welcome our baby boy in July! One less thing I have to do with newborn! 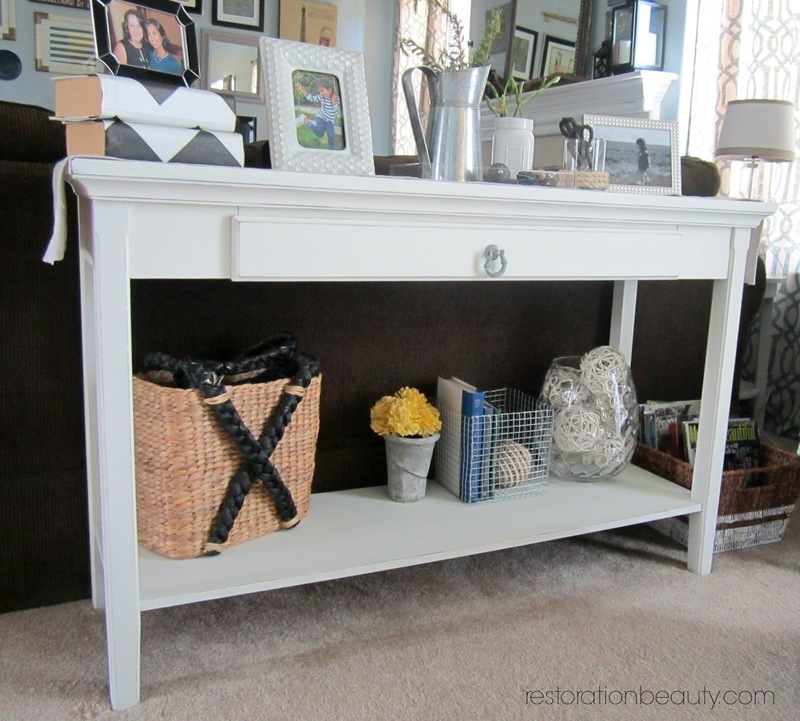 Have any of you done any furniture makeovers lately? 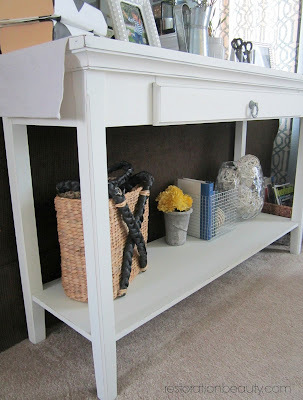 You can visit my Project Gallery page for even more DIY ideas! I love this! The color is perfect and that is the cutest knob ever! I think you did such a good job distressing it too. I remember when we painted our walls a dark brown and I spray painted a lot of frames and decor items white so they would stand out. Then when we recently painted our walls a much lighter color, all those things I painted now blended in again. Sigh. I ended up re-painting some of them back to their original dark color so they would now stand out again. The decorating never ends. Lol! him as www.e-slovensko.net no one else know such detailed about my trouble. Great Article.Very interesting forum. thanks for sharing! Norton Customer Service has seen exceptionally well. So we give a four channel to Norton client to associate with us. These are the stage telephone, social network discussions to arrangement identified with issues you have. Thanks a lot for sharing this good post. Want to get experts writing help in Coursework Writing Help for this studentsassignmenthelp.co.uk writers guides you at cheap and affordable price. Hii.. i really like your article, so this thank u so much for sharing.. my assignment help services for singapore students. Hey there, You have done an incredible job. I will certainly digg it and in my view suggest to my friends. Contact us to get the most beautiful girls in the energy skirts. We have very attractive and very attractive girls available at many affordable doors and our girls from Gurgaon Escorts are available at the national level. You can call our call girls any of India You can also take the place for your own fun. Our Gurgaon Escorts offers 24/7 service to our experienced a You can choose the Curt girls enthusiastic and excellent young women and call girls available in our escorts in Gurgaon give completely the freedom to take mature women to other areas of Gurgaon. Available girls in our Gurgaon escorts service are completely free. And they freely provide services to the tenants in our escorts agency then whenever you need high profile escorts service in Gurgaon u can contact me from anywhere in Gurgaon.